The heated dies seal a thin layer of metallic leaf/foil onto a surface. The foil comes in a wide roll, large enough for several passes, backed by mylar. The hot die works similarly to a letterpress. Once it’s heated, the die presses the foil against the substrate material with enough pressure that the foil sticks only in the intended places, leaving a slight imprint. Foil leaf is available in every imaginable color and pattern. Rarer types of leaf come in matte, pearlescent, holographic, opalescent, or glossy finish. 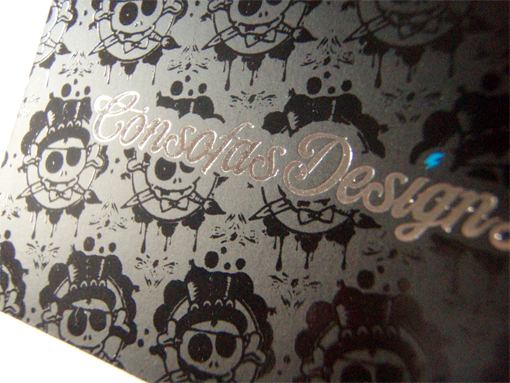 There are also semi-transparent foils that allow an under color to show through. Not only does it provide a uniquely vibrant image with depth, but foil stamping can be applied to a much more diverse selection of substrates when compared to ink. 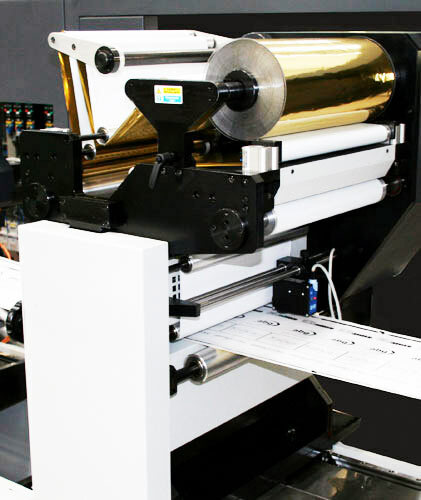 Businesses typically use foil stamping to identify folders, cards, signs, and magnets with their logo. The reflective and unusual treatment looks awesome, pops out and will no doubt catch the eye of your next potential customer like a shiny lure to a South Island trout. Freakin dope boys!! Well done.